This is a beautifully designed luxury shaving gift set. The design features a distinctive shape which is exclusive to our brand. The shaving brush is a high grade boar-hair shaving brush with a solid ash-wood handle. 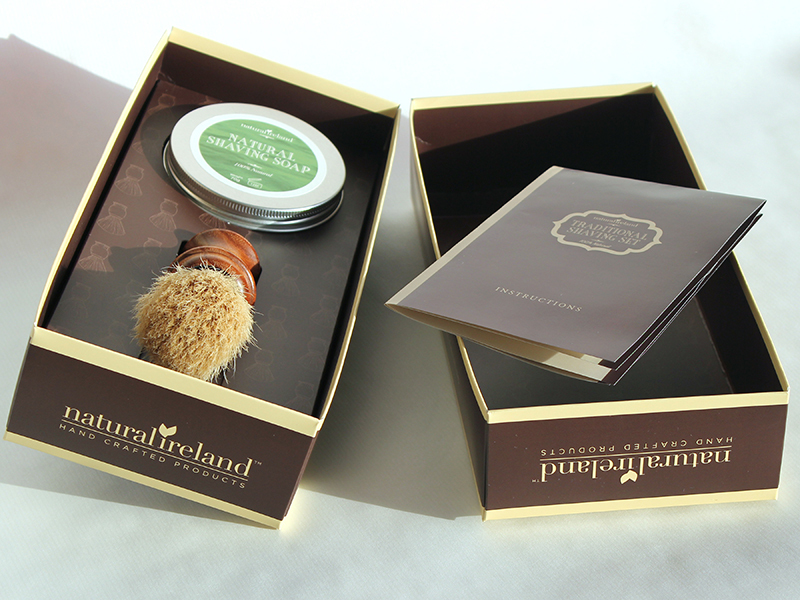 This solid wood brush with its tall loft and natural wood grain perfectly complements this luxury shaving set. 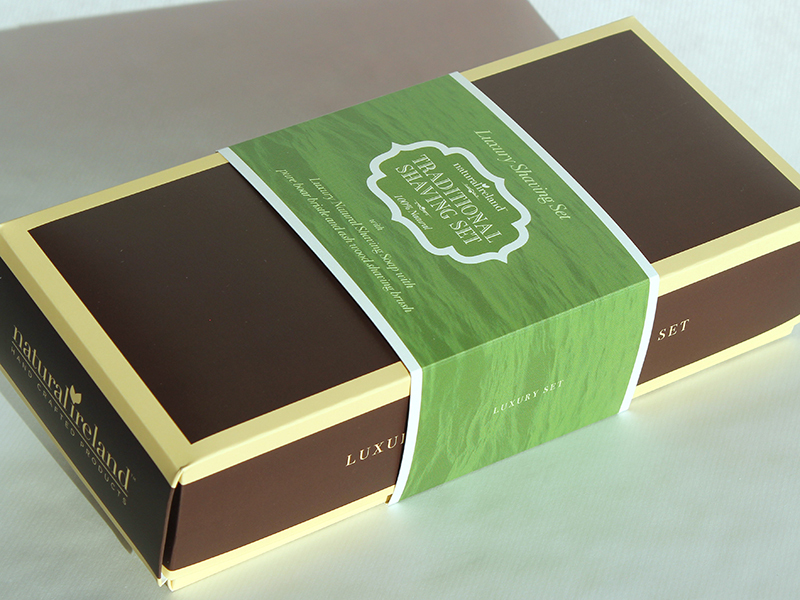 Other features include a stunning leaflet and sleeve surrounding the outer box which is colour coded to reflect the shaving soap in the set. Our beautifully packaged luxury shaving set is a gift that would be appreiated by any man we loves a superior wet shaving experience. 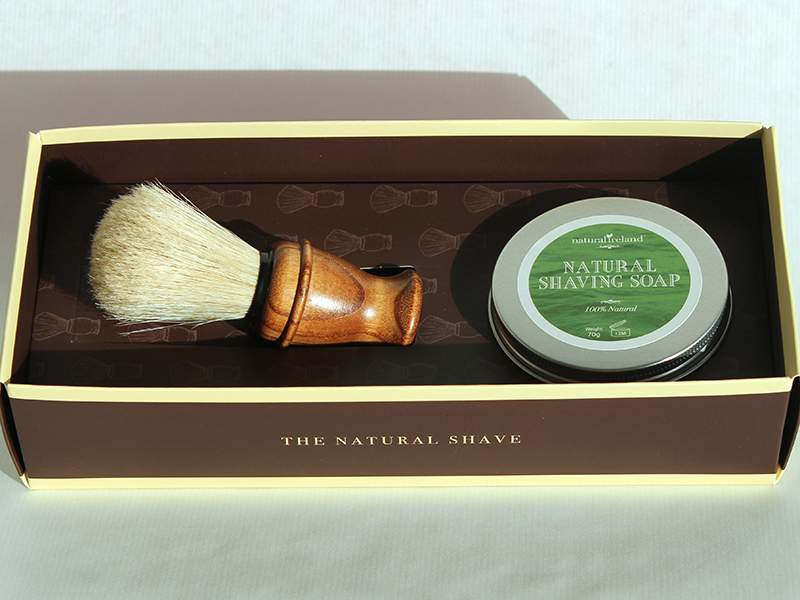 This shaving set includes our luxury award winning Natural Shaving Soap. 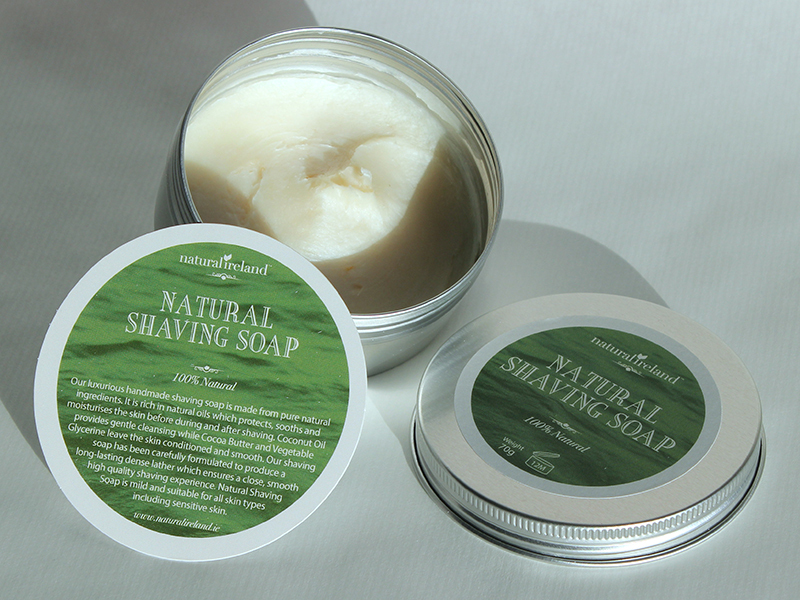 Our Natural Shaving Soap is handmade from pure natural ingredients. 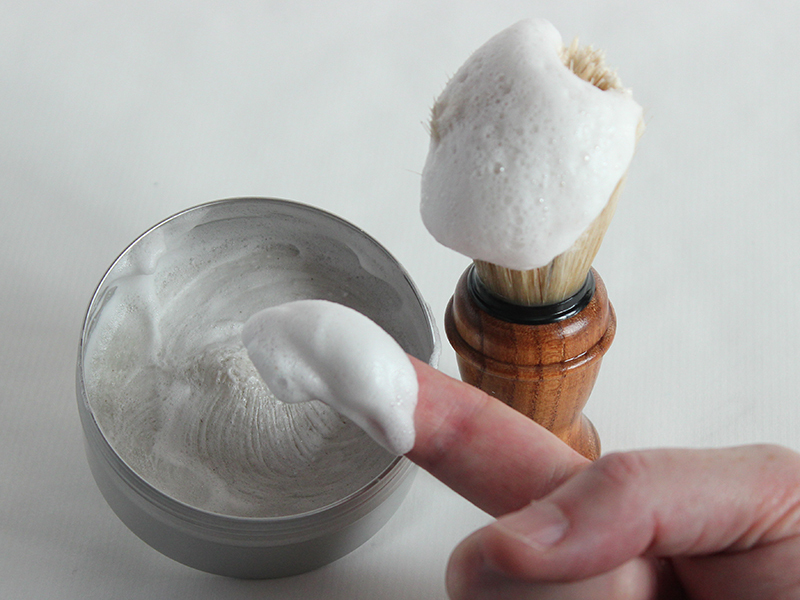 Our shaving products are free from harmful chemicals, artificial additives and artificial perfumes. As all our shaving products are completely natural they are suitable for sensitive skin, reducing razor rash, razor burn and irritation. We believe that men should have access to high quality natural products and many of our customers have now turned away from chemically loaded products. This shaving soap has a semi-solid consistency, it is not completely solid. 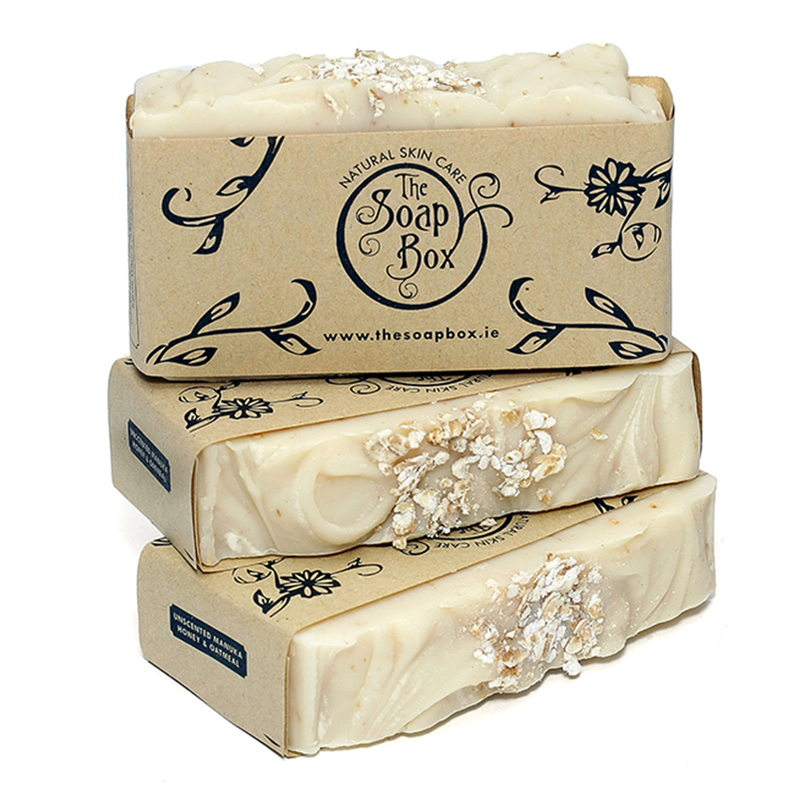 It is made from natural oils and butters, our customers describe it as a thick oily/waxy consistency. 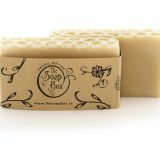 This soap foams a superior creamy lather which protects the skin during shaving and allows for a close smooth shave. 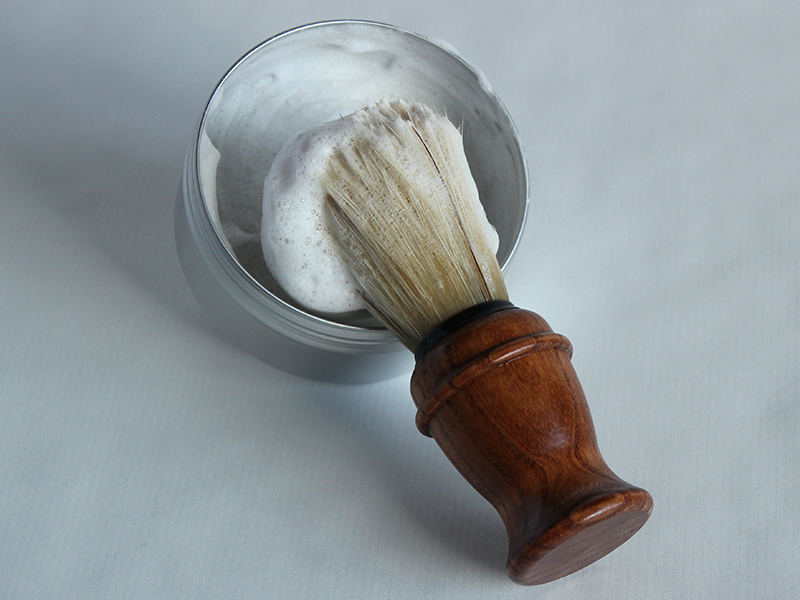 The shaving brush in this set is a solid ash wood brush with natural boar bristles. This shaving brush has a tall loft which is bigger than your average boar brush and assists to bring ever more moisture to the face during the shaving process. The handle of the brush has a gorgeous wood grain effect as it is solid wood. 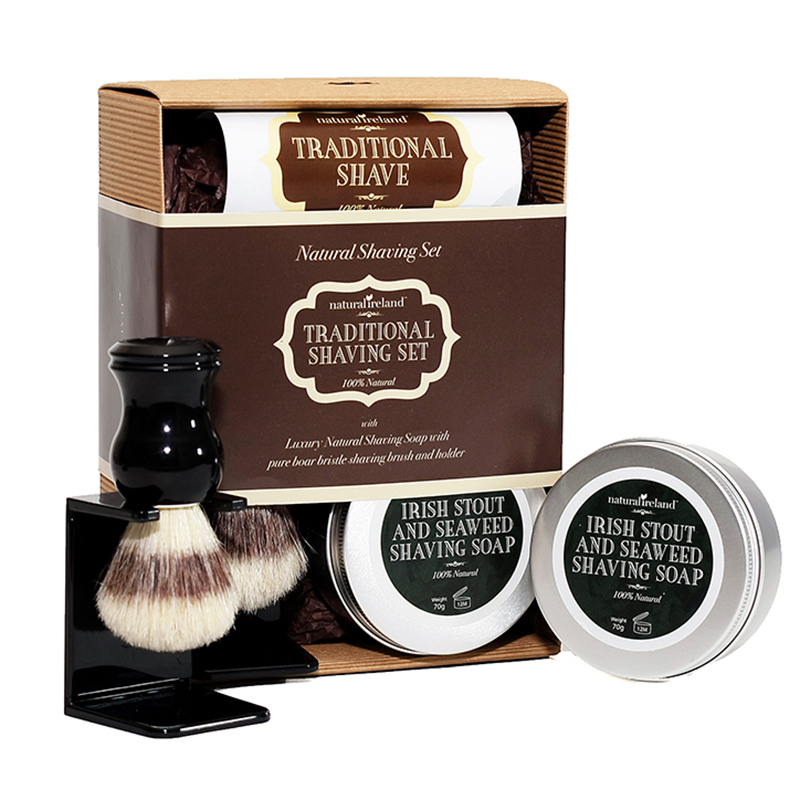 Be the first to review “Luxury Shaving Gift Set with Natural Shaving Soap & Solid Wood Shaving Brush” Click here to cancel reply.